MPA Liquid, a professional and friendly service with everything you need for concrete and screed. Contact us today for a quote. Flowing screeds are a new generation screeding product. 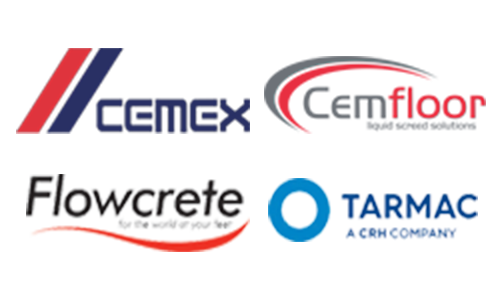 We deal with all leading producers of liquid screed and pride ourselves in having an excellent technical support team who are always very happy to advise you on the best products for your applications. We are here to help. For more informatin on about any of our services, call us today on 01865 238 026 or contact us on our website to find out more. Welcome to MPA Liquid Screed, we are a specialist provider, who offer, a comprehensive service for the supply and pouring of liquid or flowing screeds, a high performance alternative to traditional sand / cement screed across Oxford, Newbury, Reading, Northampton or Milton Keynes. We also offer a range of services which include, supply and fitting, of quality under floor heating systems, designed to each individual job and also supply and lay of flowing concrete products used for a wide variety of applications. Because flowing screed is pumped, there are also benefits for projects where access is difficult or space is limited. When you order from us we will provide you with further information about the steps you will need to take to be ready for us on pouring day. If our instructions are followed carefully, we can ensure a maximum level of speed and efficiency – and allow the smooth progress of your building work. For more information on any aspect of our service you can browse our website, or get in touch for an informal discussion of your requirements. We can provide a free quote for supply and pouring in Oxford, Newbury, Reading, Northampton, Milton Keynes, or any of their surrounding areas.